A home for all seasons in picturesque privacy. 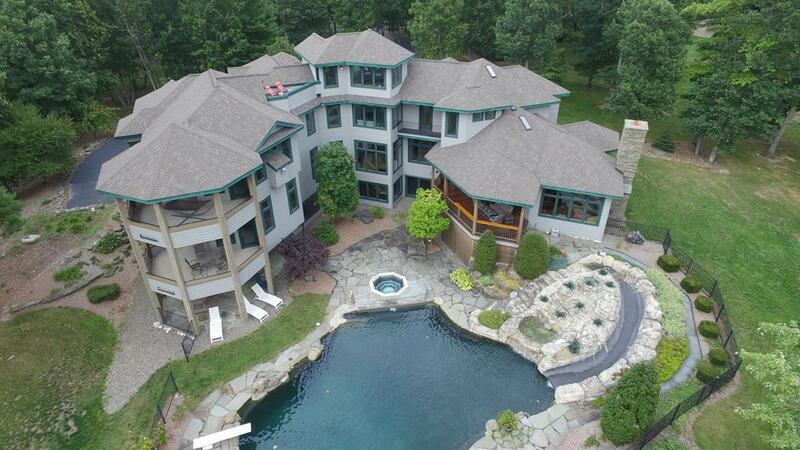 This elaborate estate is perfect for entertaining and family life. With 10,000 sf , this home exemplifies luxury in every detail from the views from ipe decks to the top end appliances and materials used. The extraordinary kitchen opens to the family room, breakfast room and bar. Each bedroom suite enjoys an en-suite and custom walk-in closet. A lower level rec area with custom bar encompasses a large theater rm w/HD projection and sound opening onto the patio and pool. A barn complex adds a separate large apartment and bunkhouse for groups.